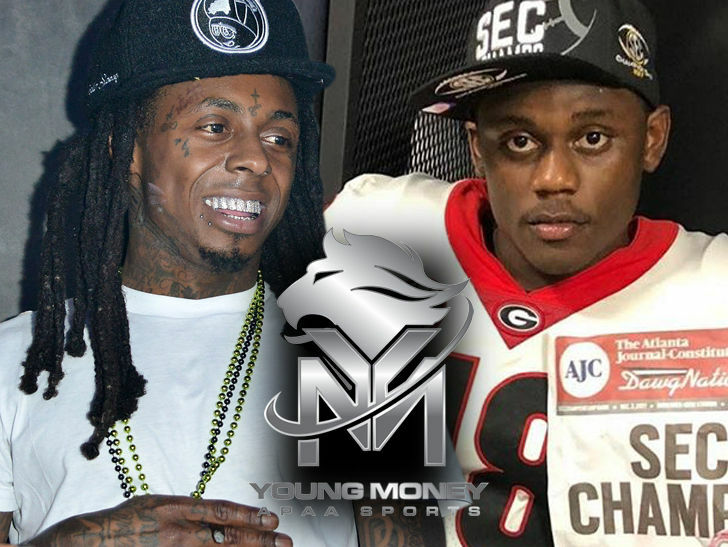 Weezy F Baby and the F is for future first-rounder ... 'cause Lil Wayne just signed Deandre Baker -- a projected top-10 NFL Draft pick -- to his Young Money APAA Sports Agency!!! The legendary rapper made the announcement himself on Twitter, writing, "Welkome to the family @DreBaker1_ !! Lets Work!" Of course ... the signing is a huge one for Weezy -- Baker was a superstar at Georgia and mock draft experts already have him penned into the top half of April's first round.